typeset tomes of foreign language text. See “How to obtain a certified translation”. Need an interpreter? We’ve got it. A document translated? We cover 80+ languages and many specialist and technical fields. Typesetting and DTP? We‘re experts. Advice on how to structure a project? Happy to oblige. We’re your genuine one-stop translation and interpreting shop. We’re highly focused (some would say fanatical) on quality. It’s simple really. We know if we don’t consistently produce high quality work for you, you won’t keep coming back. 20+ years in the business means we know how best to handle your project, and the traps to avoid. Plus we’ve been continually fine-tuning our processes over time. The result? Greater efficiency, fewer mistakes. Tap into our experience – over 20 years assisting clients throughout New Zealand. Want the peace of mind of knowing your work is in safe hands? Then give us a try – we’re the professional translation service you’ll be delighted you found. – it’ll take you less than a minute! Fill out this simple form and click “Send to PacTranz”. We’ll do the calculations and e-mail you back a price-specific quotation just as soon as we can. – and we’ll get right back to you with your personal quote. 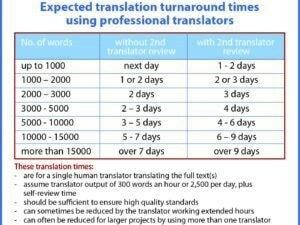 Essential viewing for business translation clients: Why choosing the right type of translation for your project really matters. 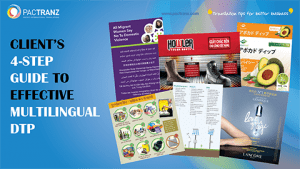 The business client’s guide to successfully managing multilingual dtp projects. To apply for freelance translation or interpreting work, complete our Contractor Application Form. Qualified and experienced professionals only please.